(Phys.org)—An international team of researchers has found via experimentation that New Caledonian crows and kea parrots learn about the usefulness of objects by playing with them—similar to human baby behavior. In their paper published in Royal Society Open Science, the group describes the experiments they carried out with the birds and what they learned by doing so. 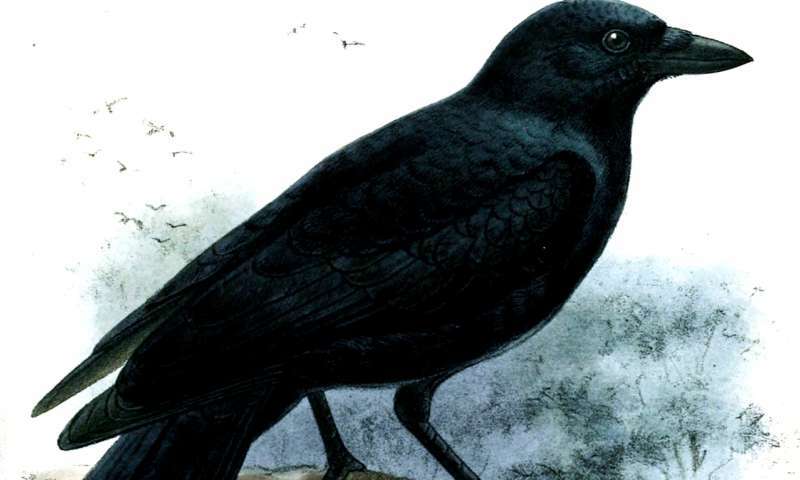 New Caledonian crows and kea parrots are both quite clever, able to identify objects as tools for use in obtaining a desired reward—though only the crows do it in the wild. In this new effort, the researchers sought to learn more about the learning process involved as the birds figured out how to use a limited number of objects to gain a food reward. The experiments consisted of allowing test birds to examine (play with) two types of blocks and two types of ropes. The block types were heavy or light, and were colored to show the difference. The rope types were rigid or flexible, and were also marked differently and distinguishable by sight only. Afterwards, the birds were introduced to two types of feeding devices. With one of them, food could only be obtained by placing something of sufficient weight on top. With the other, food could only be obtained by pushing a piece of sufficiently rigid rope through a tube to force it out. In the next step, the birds were allowed to play with the blocks and rope again; they were slightly different from those used when teaching them how to obtain food from the devices. The final step was allowing the birds to use what they had learned by picking a block or rope from the initial object group to apply to the feeding devices to gain a reward. The researchers report that after 10 trials, six of 14 birds performed better than chance in selecting the correct tool to access the food they were after. When the birds were asked to do the final step without prior experience playing with the tools, none of them did any better than chance. They also found that the training did not change the playing behavior and did not improve their chances of success in getting food from the device. This, they suggest, shows that the birds simply remember certain characteristics of objects they play with and apply them when an opportunity presents itself. This is similar, they note, to how human babies learn about objects in the world around them. A range of non-human animals frequently manipulate and explore objects in their environment, which may enable them to learn about physical properties and potentially form more abstract concepts of properties such as weight and rigidity. Whether animals can apply the information learned during their exploration to solve novel problems, however, and whether they actually change their exploratory behaviour to seek functional information about objects have not been fully explored. 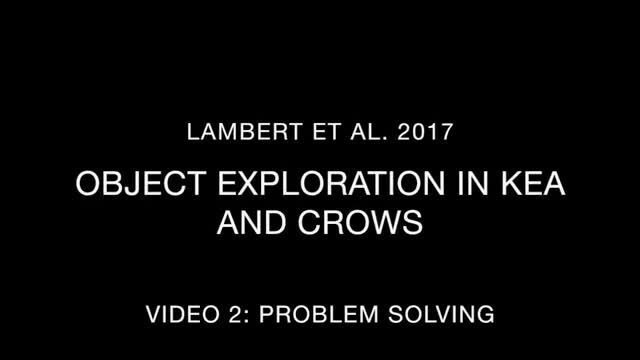 We allowed kea (Nestor notabilis) and New Caledonian crows (Corvus moneduloides) to explore sets of novel objects both before and after encountering a task in which some of the objects could function as tools. Following this, subjects were given test trials in which they could choose among the objects they had explored to solve a tool-use task. Several individuals from both species performed above chance on these test trials, and only did so after exploring the objects, compared with a control experiment with no prior exploration phase. These results suggest that selection of functional tools may be guided by information acquired during exploration. Neither kea nor crows changed the duration or quality of their exploration after learning that the objects had a functional relevance, suggesting that birds do not adjust their behaviour to explicitly seek this information.